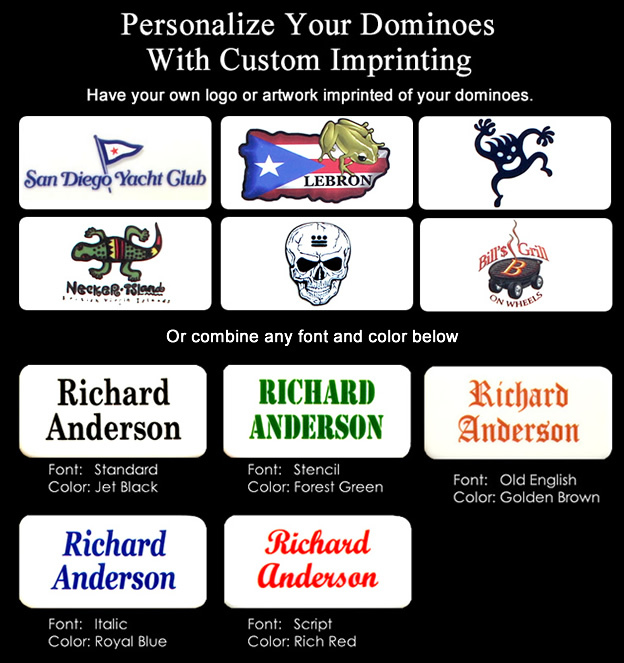 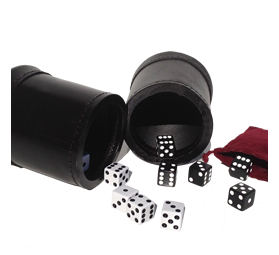 Size: 2-1/8" x 1-1/8" x 7/16"
which are the official size and weight for tournament play. 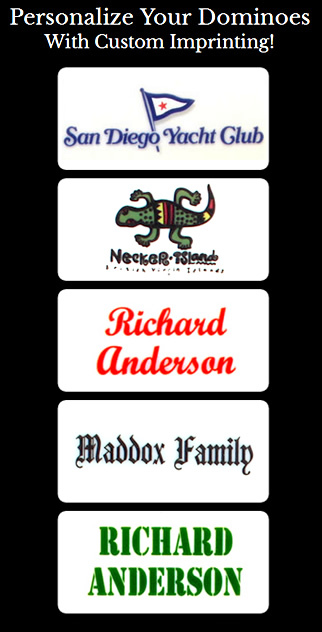 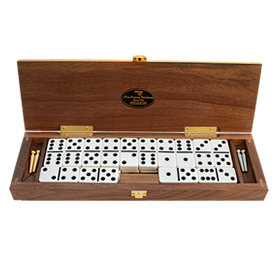 Size: 2" x 1" x 3/8"
These high-end domino sets have the Alex Cramer standard size dominoes for casual play. 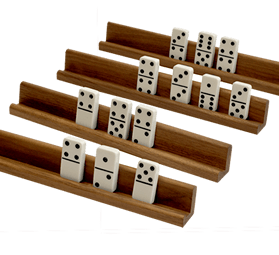 The first set of Double-9 Dominoes good enough to earn the Alex Cramer name. 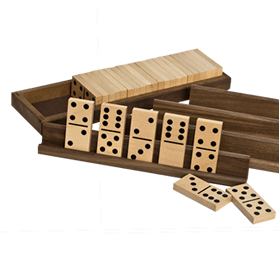 These are the perfect domino sets for traveling. 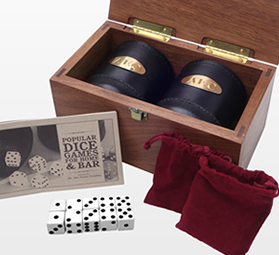 The travel set cases are durable and light weight. 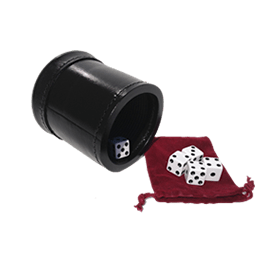 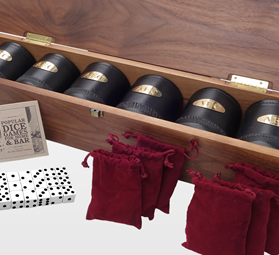 The special "noiseless" liner keeps things quiet while you play. 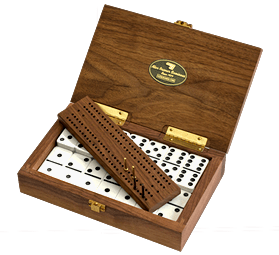 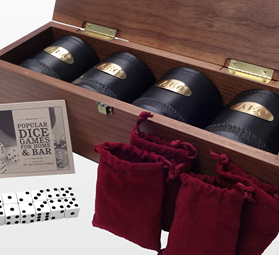 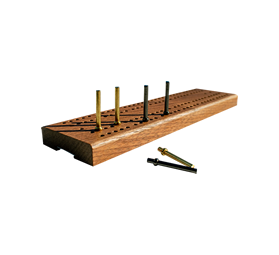 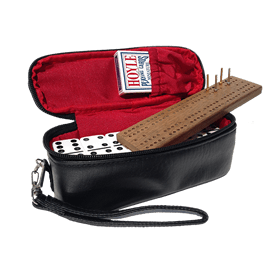 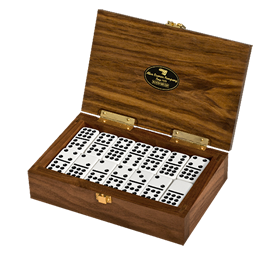 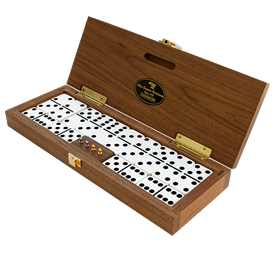 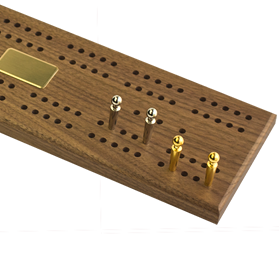 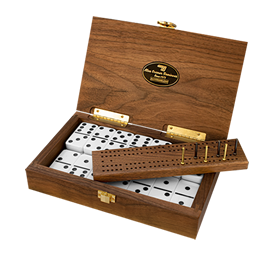 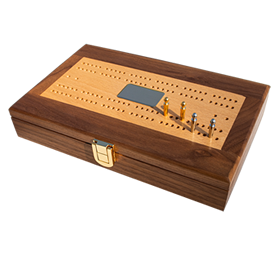 Beautiful Cribbage Boards and Domino Racks for professionals and for on-the-go. 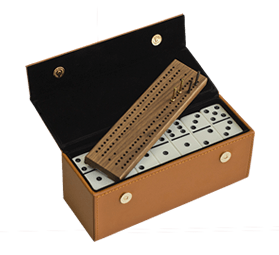 In response to customer requests, we have developed these exclusive "Big Dot" dominoes for players who love the game but have trouble seeing the dots on the dominoes. 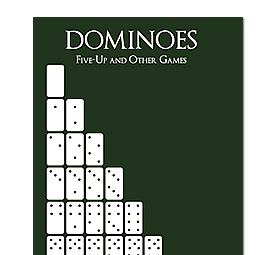 domino strategy and with a particular focus on the game of Five-Up.